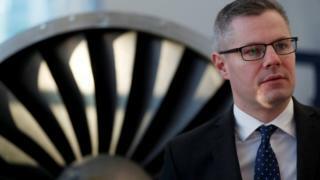 Scotland's finance secretary is expected to confirm income tax rises for middle and higher earners when he unveils his draft budget for next year. Derek Mackay will say the increase in taxation is needed to raise more money to help protect public services. It will see many people in Scotland pay more income tax than those on the same salary elsewhere in the UK. But First Minister Nicola Sturgeon has said that 70% of taxpayers will pay no more than they do at present. The Scottish government was given powers over income tax rates and bands last year. Mr Mackay is also expected to promise extra money for the NHS, childcare, education and the police in his budget statement in the Scottish Parliament on Thursday afternoon, and to give details of pay rises for public sector workers. And he will outline a package of plans designed to boost business, including more extensive broadband provision. But the most significant measure will be an increase in income tax, which comes after Ms Sturgeon suggested it was time for higher earners to pay a "modest" amount more. BBC Scotland political editor Brian Taylor says he expects the 20p rate for lower earners to be frozen, but that there may be a new tax band created that would see those earning above about £30,000 pay more. The government has hinted that the top 45p rate of tax for those earning more than £150,000 will not be raised to 50p, as some opposition parties have called for, but may go up by a smaller amount. Business leaders have warned that Scotland cannot afford to be associated with higher taxation than other parts of the UK. But most people will pay no more tax than they do now - because the median salary in Scotland is £24,000. Nobody likes paying income tax. Nobody likes paying more income tax. Therefore, the draft budget is potentially a challenge in terms of public support. It is particularly a challenge given that the largest opposition party to the SNP are the Conservatives and the Conservatives will mount a very, very strong attack based upon any tax changes whatsoever. Mr Mackay will seek to rebut that by accusing the Conservatives of hypocrisy - by saying that they demand spending on pet projects while at the same time demanding tax restraint. Again, it will depend on what the public hears with regard to this - whether they listen to the government or whether they listen to the opposition, the Conservatives. MSPs will get their first chance to vote on the plans in the new year, with the minority SNP government needing support from at least one opposition party in order to pass the budget. Economic forecasts from the new Scottish Fiscal Commission will be published alongside the draft budget for the first time. Experts have warned that the budget comes at a "crucial" time for Scotland's economy, which they say is "stuck in a cycle of weak growth". Ms Sturgeon and Mr Mackay set out a series of possible income tax models last month, with many of them adding additional tax bands to those currently in place across the UK. The various models were estimated to raise up to an additional £290m - less than 1% of the Scottish government's total budget, which was about £33bn last year. Mr Mackay has conceded that the budget is "set within a challenging context", although he points the finger at "continued austerity" from Westminster. He has highlighted analysis showing Holyrood's resource grant falling by £200m in real terms for the coming year - although the Conservatives contend that the block grant from the UK government is increasing overall, due to extra funds for capital spending. The finance secretary said: "The budget will bring forward key measures to protect public services like our NHS against the worst effects of UK budget cuts and continued Brexit uncertainty, and deliver a growth package to support the economy, unlock innovation and drive increased productivity. "This will be a budget that is good for taxpayers, good for public services and good for business. It is a budget that will deliver for Scotland." Opposition parties will ultimately be key as the minority SNP government will need support from at least one in order to pass its budget, with the final vote due in February. The Conservatives have consistently argued against tax rises, and as such are highly unlikely to be persuaded to back Mr Mackay's budget. Tory finance spokesman Murdo Fraser used a Holyrood debate on Wednesday to quote the SNP's manifesto back at them, saying the party had "absolutely no mandate" to increase the basic rate of tax. He said 65% of the electorate had backed parties which had pledged not to increase the basic rate of tax - the SNP and Conservatives - and that the budget was about "whether politicians can be trusted to keep their promises". Scottish Labour has called for "radical decisions" in the budget to tackle poverty, with new leader Richard Leonard saying Mr Mackay must not "just tinker around the edges". Labour has also repeatedly raised the issue of funding for local councils, which Mr Mackay has insisted will be "fair". The Scottish Greens - seen as the most likely party to back the SNP on the budget - have set out priorities including "progressive changes to income tax", a move to "reverse the cuts" to local budgets, an above-inflation rise in public sector pay and investment in low-carbon infrastructure. The Scottish Lib Dems, meanwhile, have called for "specific, targeted investment" with a particular focus on education, as well as action to tackle the "woeful gap in the numbers of new mental health staff being trained".